As part of start-up procedure, make sure the entire crew knows the plan for the day’s work. 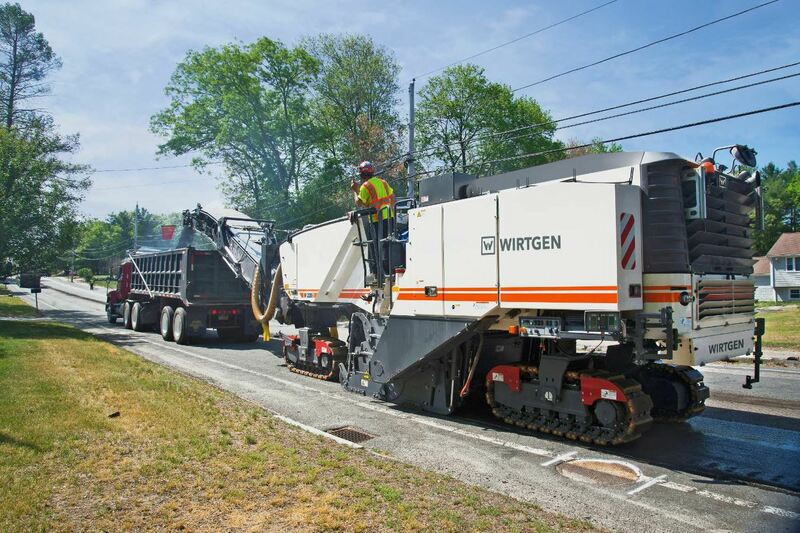 Both photos courtesy Wirtgen America. Profitable, productive cold milling of aged asphalt in the field hinges in large part on a smooth machine start-up in the morning. But my field experience shows that smooth morning start-up in good measure begins with the kind of care the machine gets the evening before. What takes place the next morning starts at the end of the previous day. Machine maintenance is without question the key to machine uptime and profitable operation. Washing dust and debris from the machine, checking and changing the cutting tools, and greasing the machine according to manufacturer’s specification at the end of day are a few things the milling crew needs to do to ensure the next day will start off okay. If neglected, these items can cause machine failures, or lack of quality production. The milling process is a machine-abusive application. Hydraulic or oil leaks can happen. Before starting off in the morning, the milling crew needs to do a walk-around inspection of the milling machine. We need to check for any damage to the machine, and assess whether it is safe to operate the machine, or does it need to be repaired immediately? Even if you changed your milling teeth the day before, you’ll need to check them again for damage, or see whether you just missed one. When machines are transported from job to job on the lowboy trailer, sometimes we set the machine too low on the trailer deck, and cause damage to the milling teeth. It doesn’t make for a good start right out of the gate when you realize you have broken teeth. It’s also key to make sure you have topped off all of your fluids. The obvious ones are fuel and water. Water is extremely important for cooling and lubricating the cutting tools or teeth. It’s also essential for dust suppression around the machine for operator, ground crew and even work zone motorist safety. Fuel is so important that it need not be mentioned. But today—with Tier IV Final-emission engines—we also need to make sure we have adblue/def fluid for the machines that need it. I feel the best rule of thumb is that whenever you top off the fuel tank, top off the adblue/def tank with a good adblue fluid. The milling crew needs to have an understanding of what the job entails. Are we cutting full-width, or are we edge milling? The more information the crew can have on the job, the easier the job can be. Communication is one of the biggest factors for failure that we have. Also, communication with everyone on the job site is extremely important from a safety standpoint. Everyone is responsible for making sure everyone is safety-conscious. Because trucking is so very important to the milling process—just as it is for paving—truck drivers need to be informed on how the milling crew plans to execute the work. The foreman must balance the number of trucks with a consistent milling speed and volume for optimum efficiency. While cross training is essential to having a skilled staff, it’s a good idea to keep a crew and cold mill together throughout the season. The owner should keep his crew with a machine as long as he or she can. When crews stay on a machine month after month, year after year, they understand it, they know what to do on the machine to keep it up and running, and they have memory and records of any issues or problems with the machine. Changing out crews all the time is not good for a milling operation. The best crews are those that have been with the machine for the life of the machine. The same applies to union shops; it’s not a good idea to send the crew back to the union hall at the end of year, and get a new operator and crew the next year that has to be trained all over again on that machine. Milling creates a chain reaction that goes all the way down the paving project. The rate at which we mill has been the Achilles Heel of the milling process. With milling, we can be so production-oriented that we feel the need to mill quickly. The problem with milling fast is what is left behind us. Poor milling patterns and varying depths can create very big issues for the future paving crew as it tries to achieve quality. Regulating our feet per minute, along with making sure our cutter drum is well-maintained, will ensure the milling crew leaves a quality substrate. This makes it easier for the paving crew to do its job and achieve optimum smoothness and compaction. Consistency of speed also is important. The more consistent a machine’s speed, the better off the operator will be. It doesn’t make sense to run at full speed, slow down and stop, change trucks, and run at full speed again. That changes the milling pattern significantly; you are better off running at a slower, more consistent speed, as it will result in a lot more precise pattern or texture of cut, and that will benefit the paving operation while reducing operating costs. Beyond the cold mill itself, effective truck management—when balanced with milling speed—will boost productivity of a milling operation. Today’s machines have high productivity, and if you don’t have the right number of trucks for the machine to feed and keep it running steadily, you will be inefficient. The milling operation should actually mill and load trucks at least 40 to 45 minutes out of the hour. If you are not doing that, you are not efficient. Therefore the operator needs to balance the trucks, pace himself a bit, and keep the machine running steadily. That’s instead of running the machine wide open, then waiting 15 to 30 minutes for trucks to return. It makes no difference if the trucks are owned by the milling company, or provided by the prime contractor. Instead it’s a communications issue. The operator needs to meet and communicate with the prime contractor, giving him an idea of how productive his cold mill is, and based on that, weigh out the number of trucks that will be needed. 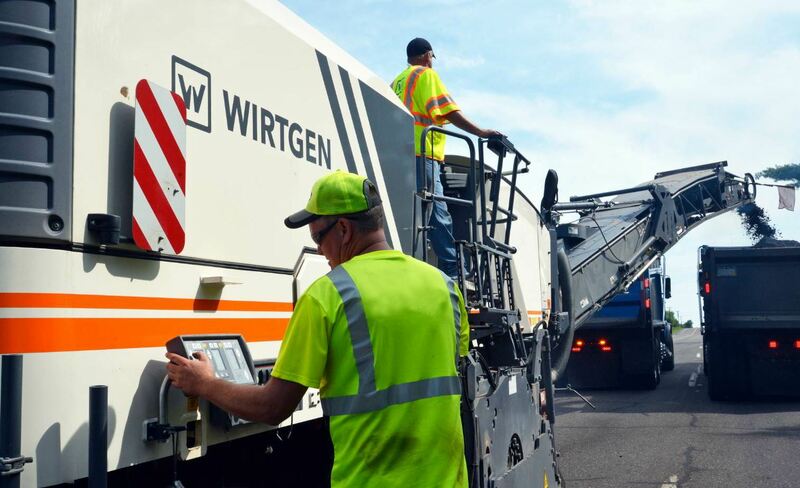 Tom Chastain is an applications specialist at Wirtgen America, Antioch, Tennessee.